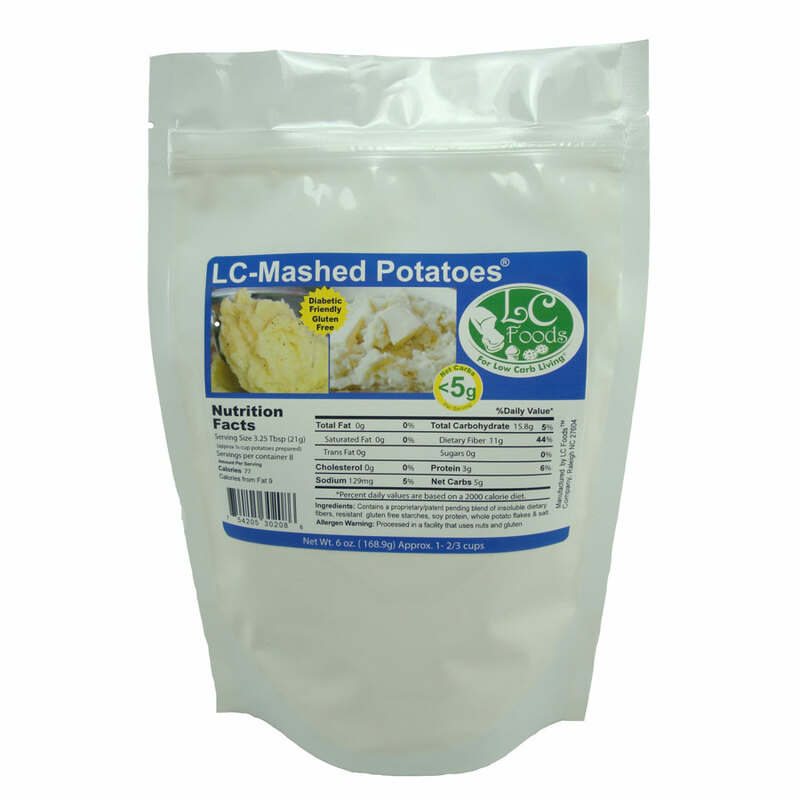 Low carb mashed potato mix with 4.8 net carbs per prepared cup. Tastes delicious! 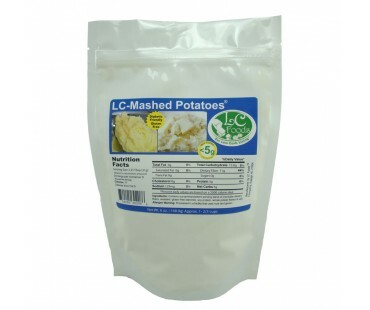 Our low carb mashed potato mix is super easy to make - simply steam or boil cauliflower, mash and combine together with the mix, cream and butter. You'll get the best fauxtatoes you've had since you started the low carb lifestyle! For variety, try adding parsley, chives, sour cream, bacon or cheese as desired to taste. How about garlic, cream cheese or spinach for something different? 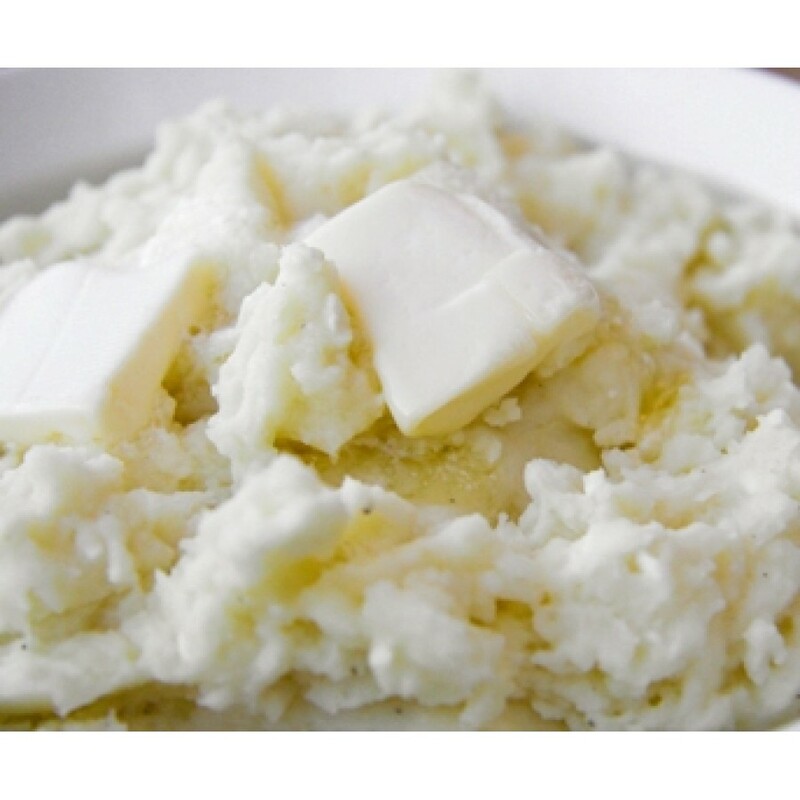 We came across a recipe for mashed potato salad that looks great - make fauxtatoes according to package directions. Add 1/2 cup mayonnaise, 1/2 cup prepared mustard, 1/2 cup sour cream and mix. Add one stalk celery, one red onion and one green pepper, all finely diced along with1/4 cup sugar free relish. Serve warm. 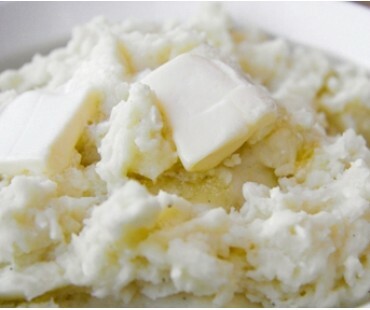 These low carb mashed potatoes have a healthy dose of dietary fiber. As with all LC Foods low carb products, there's no sugar added (of course!) and no preservatives! I am a potato addict but now need to go without or find an alternative. AMAZING how good this is. Even my husband really likes it and still can't believe it is made with cauliflower. Finally able to satisfy my "mashed potato" cravings. I am not a big fan of cauliflower, but WOW! These turned out so good, I pureed the cauliflower till it was like baby food and mixed with the mashed mix and it was So GOOD! Family Favorite from here out! Awesome!!! Another Hit with me! This is by far the best Mash potatoes I've eaten! and I've tried the cauliflower recipe thing, but that didn't have that comfort food taste that i missed from eating real mashed potatoes! This is another one that I will buy without hesitation! NO questions asked!